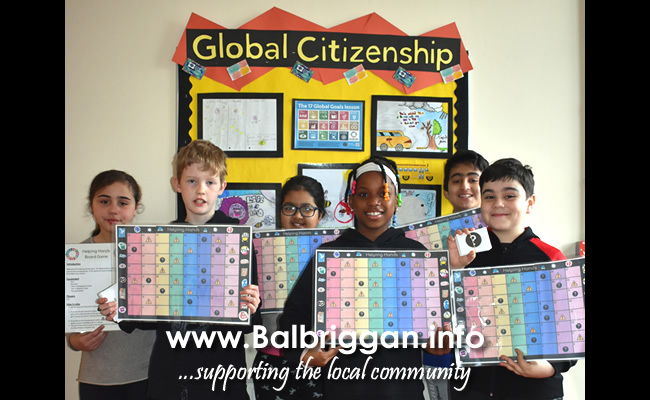 A group of 5th class pupils from Balbriggan Educate Together National School have created a project asking the wider community to take action in order to help achieve the Global Goals. The UN Goals for Sustainable Development (or Global Goals) is an international agreement with 17 targets to achieve by the year 2030. These targets include the eradication of poverty and hunger, climate action, improved education, responsible consumption and reduced inequalities. 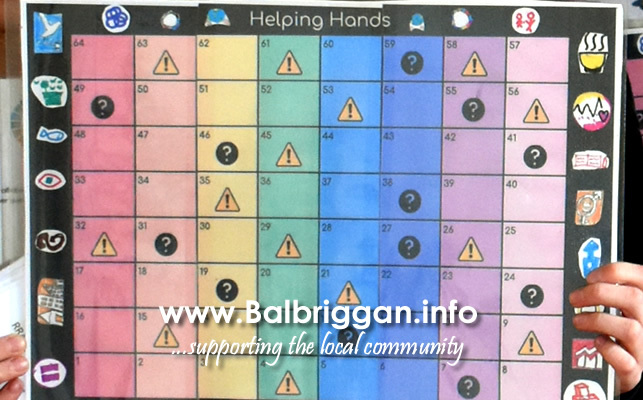 The group in Balbriggan ETNS had been learning about Irish Aid and their partner countries in the developing world and decided to do something to help with problems that were affecting these countries in particular. The team researched all about the Global Goals and Irish Aid by reading the Our World Irish Aid magazine. They then planned their project and picked three main goals that they were going to work on; Climate Action, Life on Land and Life Below Water. The group made posters, created a board game, filmed and edited a video and presented their learning to the school community. They are asking everyone in the community to make one change to their behaviour today. People can make a positive change by avoiding ‘fast fashion’ because producing the raw materials takes up a lot of energy and dyes can affect people’s health. People can also avoid littering, walk when they can, conserve energy, avoid products with microbeads, save water and avoid single use plastic. 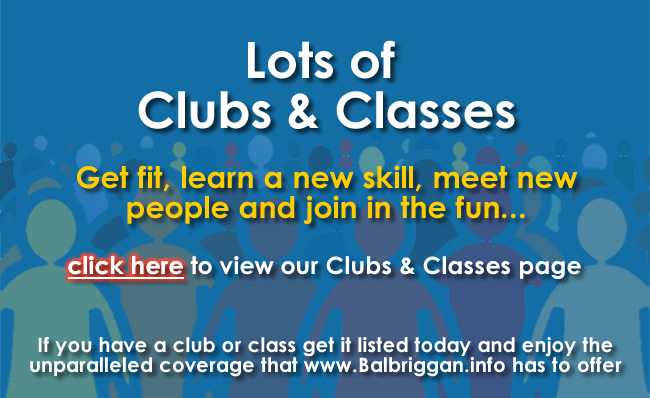 The group will be entering their project in the Our World Irish Aid Awards. Irish Aid is the government’s overseas development aid programme, which works to fight global poverty. The awards give pupils the chance to learn more about the developing world and to speak out for a better future for all the world’s people.